Recently I wrote about Tiong Bahru Hainanese Boneless Chicken Rice at Tiong Bahru Food Centre which has been listed in Michelin Bib Gourmand 2016 and 2017 for Singapore. At the same food centre, there is another stall that shares the same honor. 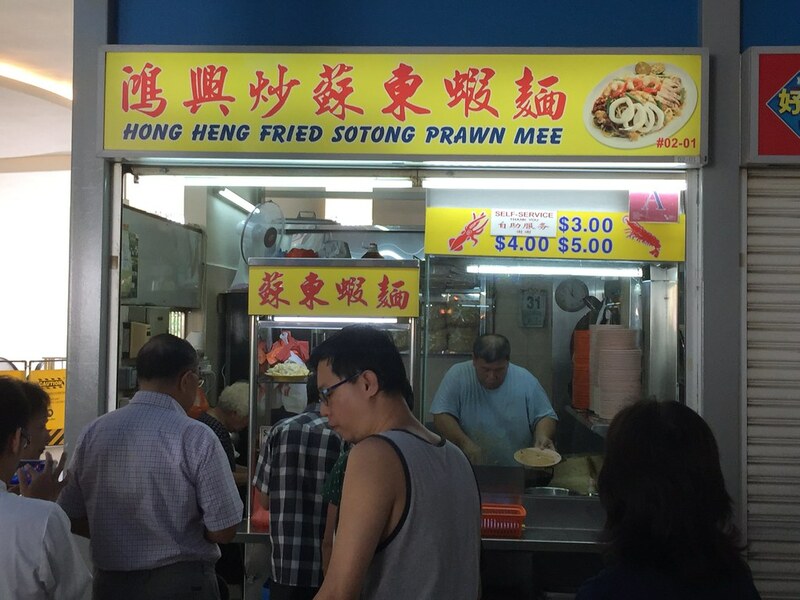 It is non other than Hong Heng Fried Sotong Prawn Mee. Hong Heng Fried Sotong Prawn Mee is the wet version with the yellow noodles and thin bee hoon absorbing the sweet and flavourful prawn stock. 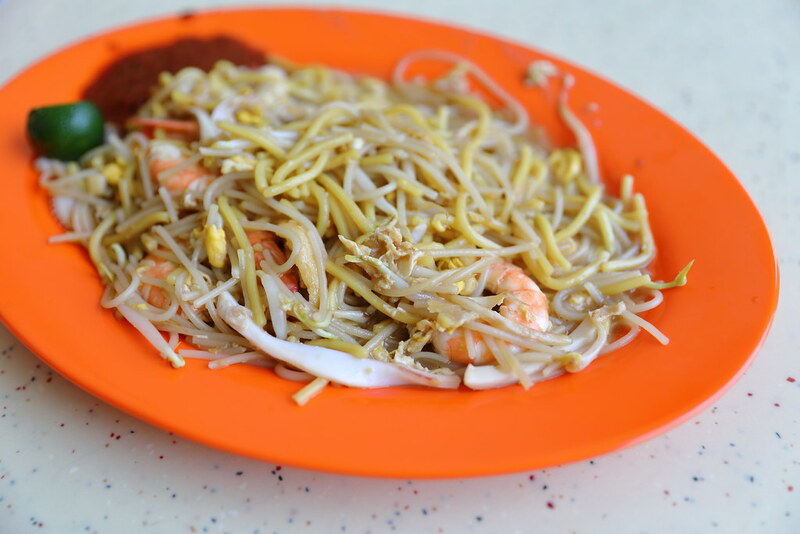 The plate of prawn mee comes with ingredients such as squid, prawn, bean sprouts and egg. I have to say the prawn mee at Hong Heng is pretty good and satisfying. However I think I have tasted better ones. 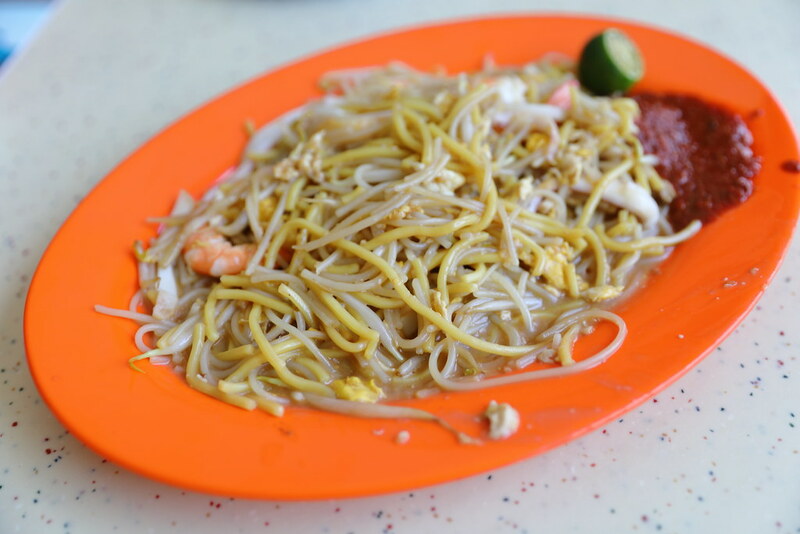 While the prawn mee is tasty with the robust prawn stock, it lacked wok hei. 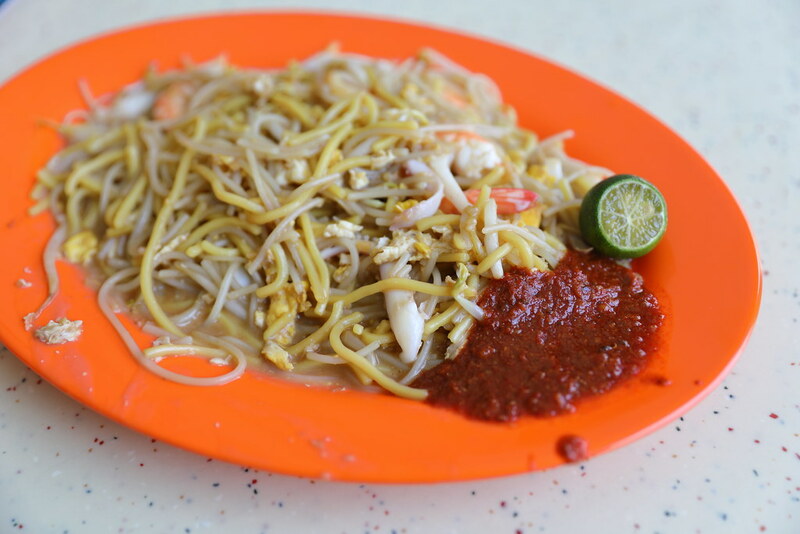 In addition, the chilli sauce it used does not go well with the prawn mee. I always feel that prawn mee needs those chilli that has a bit of tangy zest to match that sweet prawny stock of the noodles.